Robert Blumen talks to Christopher Meiklejohn about conflict-free replicated data types (CRDTs). 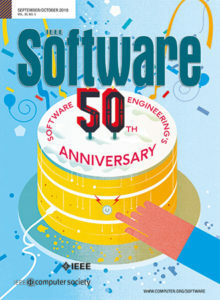 The discussion covers forms of consistency in distributed systems; conflicts and conflict resolution algorithms; consistency and concurrency; the discovery of CRDTs; state-based and operations-based CRDTs; examples of some well-known CRDTs, including counters and sets; time and space complexity; uses of CRDTs in chat and shopping carts; and Riak database support for CRDTs. Early in the episode Chris mentioned a book about “replication”? I don’t see a link to it. Eric posted the link above.